The hard-working health care professionals we have today get a lot of help from amazing medical devices. The doctors, nurses and others from more than a century ago — and especially those from more than two centuries ago — would be amazed at the things that we can do in health care today. No matter your health care specialty, you have probably benefited from medical innovations. Recently Qmed surveyed its audience about their thoughts on what are the most important medical devices ever developed. At the top it was the hypodermic syringe. Along with the myriad of substances for which they are the prime, if not the only, delivery vehicle, have probably been responsible for saving more lives and alleviating more suffering than any other piece of medical technology. Completed the list the pacemaker, the eyeglasses, the X-ray machine, the MRI, the stethoscope, the band-aid, the catheter, the CT Scanner, the cochlear implant, the intraocular lenses and the heart valves. Innovation within the medical device industry had led to tremendous advances in the provision of care for patients worldwide. But it is a process that needs to continue. Our mission in Design Health Barcelona (d·HEALTH Barcelona) program is to train the next generation of healthcare innovators, the ones that will invent and implement the new biomedical products, through the biodesign process, a systematic approach based on unmet needs finding to later increase our ability to diagnose and treat conditions. We are currently seeking the fellows for d·HEALTH Barcelona 2014-2015. Worldwide youngsters with interest in the development of medical technologies and with advanced degrees in engineering, design, business or life sciences are encouraged to apply before May 11, 2014. We offer the fellows a once-in-a-life-time experience, first hand access to real-world experts from the medical technology, legal and venture capital sectors worldwide and a fun learning/working environment while they join an emerging field. d·HEALTH Barcelona 2013-2014 fellows are currently prototyping their innovations. 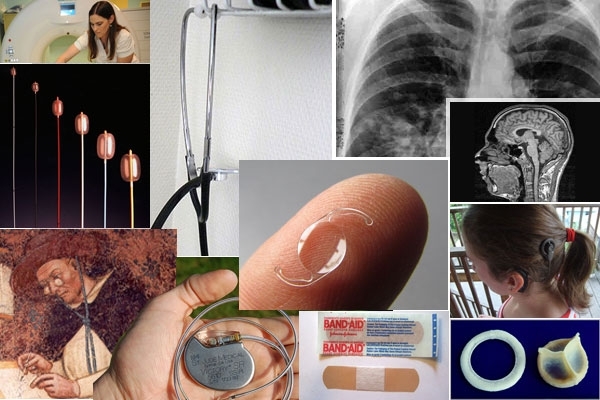 Will one of them join, in the future, the list of greatest medical devices ever? Or will be yours, future fellow reading this post? Only time will tell. Meantime, if you want to get more info about the application process or, even better, apply and become a member of our red polo shirts team, click here.